The Arrival of Spring brings about many new elements that can affect your home. With the rainy season and warmer weather on their way, you will want to prepare your house for anything Mother Nature brings. 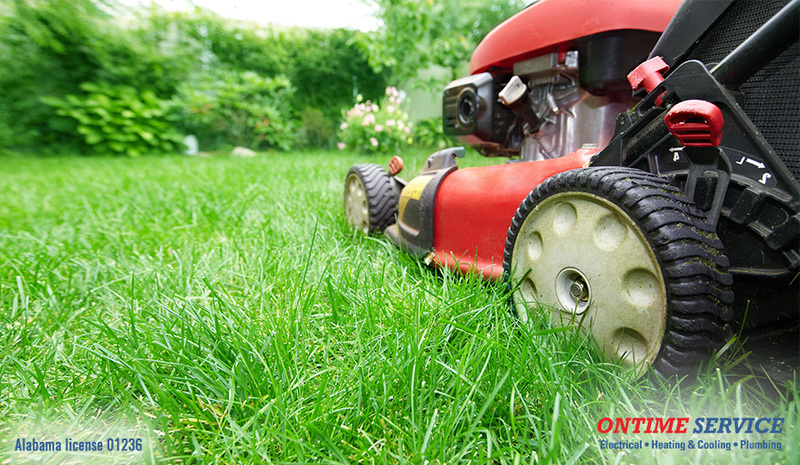 The pros at Ontime Services are here to get you started with some outdoor maintenance tasks you should do in the Spring. This task is not just reserved for spring maintenance but is a vital part of preparing your gutters for the rainy season. Clear away any debris that is clogging your gutter system. Spread a mixture of plastic mesh and butyl caulk across the leaky joint for a lasting repair. Most gutters are held together with large spikes called ferrules. When one of these spikes breaks free, your gutters can sag. To fix this, you will have to replace the spike with something more durable. We recommend 7-inch-long FastenMaster Gutter Screws. Your downspout is vital to directing runoff from storms and melted snow away from your house. You can make your downspout more effective by adding an extender. In addition to the extender, you should add a plastic or cement splash block at the end of the downspout to catch the water and keep it from pooling. Trim overgrown branches before they sprout leaves so that they are 5 to 7 feet away from your house. Make sure overgrown weeds and vegetation are not overcrowding your outdoor AC unit. Carefully use a weed-wacker to eliminate overgrowth. Pull out the roofing nails with a flat nail bar. Then, slide the damaged shingle down until the upper edge is exposed and remove the shingle. Next, lift the edge of the shingle above the broken one and install a new shingle by applying roofing mastic on the portion of the new shingle that connects under the shingle above it. Finally, secure the new shingle with four 1 ¼-inch roofing nails and apply a small dab of roofing mastic on the head of each nail. First, use a wire brush or sandpaper to roughen the area around the hole, and then clean it. Then, cut a patch of roofing metal that matches your flashing. This patch should be several inches larger than the damaged area. Lastly, affix the patch with roofing cement, and cover that patch with more roofing cement. If your house has a crawlspace, you will have vents along the foundation walls to circulate air and dissipate excess moisture. Clear debris from the screens on these vents and check for damage. With a tape measure, check to make sure the soil slopes away from your foundation walls at least six vertical inches over ten feet. Now that you know of some outdoor maintenance tasks you should do in the spring, you can stay ahead of any threats of damage the season might throw your way. For the most thorough spring maintenance, you should enlist the help of the most knowledgeable experts. Let the pros at Ontime Services be those experts you entrust with any of your maintenance and repair needs. Call us today at (205) 942-1405 or fill out our online form to schedule services whenever you need them!